Do you have an old stained bathtub? Our specialists have the solution for you! Just check out this video and see for yourself. 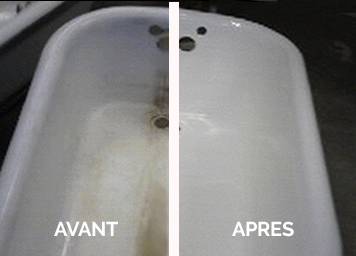 Do you have a bathtub liner that is showing signs of water infiltration? Our experts have the solution for you! Here are some pictures of bathtubs we worked on!